I appreciate large decorative earrings, but I think every woman should own a pair of diamond studs. Diamond studs go well with just about everything in your wardrobe. It is the quintessential piece of jewelry every woman should have in her jewelry box. 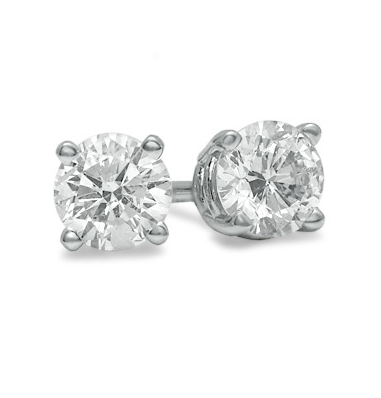 Diamond studs make you feel comfortable and confident. You’ll look like a million bucks no matter how many carats you’re rocking.